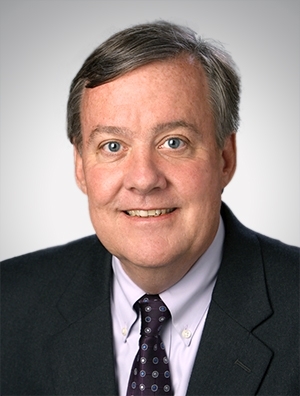 Tom McElligott is a partner in the firm's Energy, Environment & Natural Resources Practice Group. He has significant experience in all aspects of environmental law, including negotiating air and water discharge permits, administrative and judicial litigation regarding air and water permits, defense of governmental and third-party enforcement actions, representing private and municipal clients in real estate and commercial transactions (with a particular emphasis in "Brownfield" transactions), and representing private and municipal clients in remedial projects involving state and federal authorities. Serving on numerous governmental technical and advisory committees, including committees that developed Wisconsin rules implementing the federal Great Lakes Water Quality Initiative and the state's mercury strategy. Advising clients in connection with water withdrawals and diversions, including issues arising under the Great Lakes-St. Lawrence River Basin Water Resources Compact and implementing state legislation. Representing a client in successfully obtaining a "§316(a)" alternative effluent limitation for a thermal discharge to Lake Michigan. The case included a demonstration that the alternative thermal effluent limitation was protective of a balanced indigenous aquatic community and involved the successful defense of that demonstration from a third-party challenge. Representing clients in obtaining regulatory approval of "§316(b)" compliance alternatives for cooling water intake structures (Best Technology Available determinations) at both new and existing facilities, including extensive interaction with federal and state authorities. In one case, the regulatory approval was the subject of extensive administrative and judicial litigation. Obtaining a favorable "antidegredation" determination for increased mercury discharges from a state NPDES authority and successfully defending that determination from a third party challenge. Successfully defending a third-party attack on an air pollution control permit for a major expansion of a client's facility. The case involved complex issues regarding disputed emissions factors, control efficiencies, and the applicability of categorical emission standards. Representing a municipal client in the first-ever use of Wisconsin's "Brownfield" law, which led to the redevelopment of an old industrial site and the creation of over 1,000 jobs. Advising clients regarding environmental and regulatory issues relating to the construction and operation of renewable energy projects, including biomass and biogas. Recognized as Best Lawyers® 2011, 2016, 2019 Milwaukee Environmental Law "Lawyer of the Year"
Named the Best Lawyers' "2012 Milwaukee Litigation – Environmental Law Lawyer of the Year"